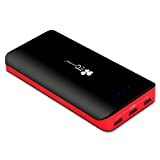 i Click 'view all' to instantly compare this ok deal with offers on other top portable chargers. 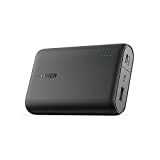 Power Bank 24000mAh Portable Charger Battery Pack 4 Output Ports is currently selling at $30.99, approximately $1.96 higher than average. With a lowest price of $26.34 and an average of $29.03 it is selling on the high end of its usual range. Price volatility is 0.89% (meaning it does not change often), so you might have to wait a while for the price to drop. Right now this product is a recommended 'ok deal'. 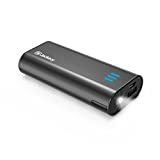 Compare the current price, savings (in dollars & percent) and Buy Ratings for the top Portable Chargers that are closely related to Power Bank 24000mAh Portable Charger Battery Pack 4 Output Ports. Here is how Power Bank 24000mAh Portable Charger Battery Pack 4 Output Ports compares with other leading Portable Chargers. 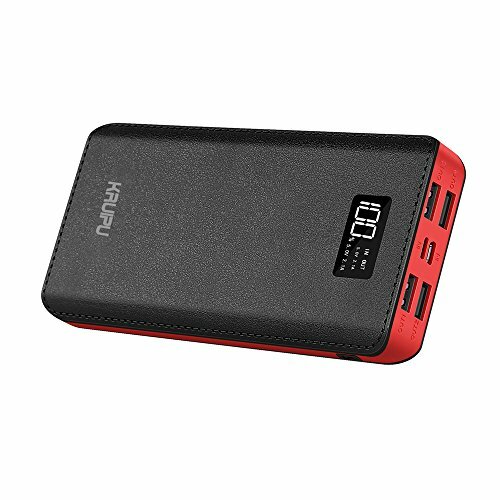 Portable Charger Power Bank 24000mAh:Huge Capacity Of Portable Charger,You will never worry about your phone"Out of Power" . when you are outside,It can charge your phone more than 6 times.Four Output Ports:It's convenient, You can charge 4 Devices at the same time,so you can share with your friends.Dual Input Recharge Methods:Suit For Android Port and lightening Port.Fashionable Design:You can catch the information you may need easily through the LCD which show the unit's remaining power and Input/Output voltage.Package including:1 x Power Bank1 x Micro USB cable1 x User ManualNo matter what problem you have, please contact us first so that we can make up for you.We will reply every message from customer in 24 hours! Features1.For protecting the LCD Screen,thre's a Film on it. please take it off when you are using.Huge Capacity Of Portable Charger: 24000mAh.It can help you out when your phone's battery is dead.Especially when you need to go for a business trip or other outdoor activities.2.Power Bank's Fashionable LCD screen:It will tell you directly how many power the charger left which is super convenient when you want to have a look at it in the dark.3.Nice Touching Feeling For Battery Pack:The surface of the charger is partly covered by Leatherette so it is soft and comfortable.4.Power Pack Comes with Dual Inputs And Four Outputs:You can recharge the charger by Android Port or Lightening Port.Plus there are four Outputs which can be charged by four devices simultaneously.